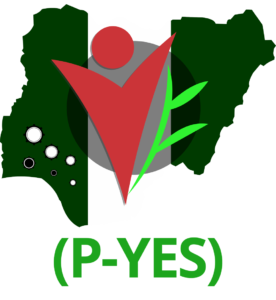 P-YES form – The Presidential Youth Empowerment Scheme (P-YES) recruitment registration form is on. The scheme is designed as an incubation Programme whereby youth will be directly empowered with Seed Empowerment Tools (SET) with the aim of creating multiple layers of empowerment. See how to apply below and be among the 774,000 to be employed. Note that no registration fees will be required during the application / selection process. 1. Applicant must be a Nigerian male or female between the ages of 18 and 40. 2. Applicant must have a means of identification (National Identity card, International Passport, Permanent Voters Card- PVC). 3. Applicant must provide a Second Level Beneficiary (SLB) to qualify for benefitting from the scheme. 5. Applicant must provide a guarantor preferably a community or religious leader. 6. Ability to secure the endorsement of a local government official. Applicants Must Complete a guarantor’s form. All Application For the presidential youth empowerment scheme are to be made via the link below. It is important to note that no registration fees will be required during the application / selection process. Please be aware of fraudulent entities who may try to prey on honest citizens.